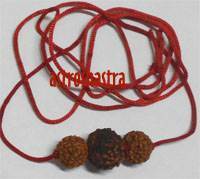 Trishakti Rudraksh Pendant Beads: One Eleven Mukhi (Lord Shiva), One Ten Mukhi (Lord Vishnu), One four Mukhi (Lord Brahma) rudraksh in Red thread. Benefits: Beneficial for all round success. 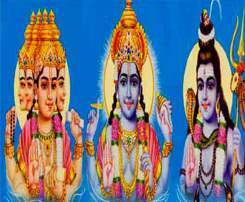 personified as the three deities Vishnu, Brahma and Rudra. The three have their respective energies called Laksmi, Sarasvatj and Kali, in collaboration with whom they create, maintain and dissolve the universe. Lord Brahma is the creator, Lord Vishnu is the protector and Lord Shiva is Destroyer. Combination of three devas is extremely auspicious. 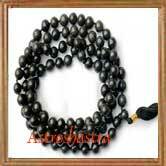 It bestows on the wearer all comforts, peace of mind and good fame. 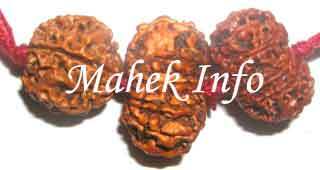 Therefore the combination of these three highly energised rudraksh beads makes a perfect combination for a wearer. 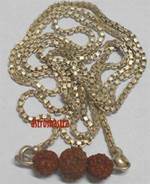 According to ancient books, eleven Mukhi is the form of Lord Shiva, Ten Mukhi is the form of Lord Vishnu and Four Mukhi is the form of Lord Brahma. 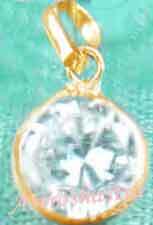 Medically this pendant is very useful in Heart problems and Blood pressure problems.